At this point we can finally see what’s really at stake in our peculiar habit of defining ourselves simultaneously as master and slave, reduplicating the most brutal aspects of the ancient household in our very concept of ourselves, as masters of our freedoms, or as owners of our very selves. It is the only way that we can imagine ourselves as completely isolated beings. There is a direct line from the new Roman conception of liberty – not as the ability to form mutual relationships with others, but as the kind of absolute power of “use and abuse” over the conquered chattel who make up the bulk of a wealthy Roman man’s household – to the strange fantasies of liberal philosophers like Hobbes, Locke, and Smith, about the origins of human society in some collection of thirty- or forty-year-old males who seem to have sprung from the earth fully formed, then have to decide whether to kill each other or begin to swap beaver pelts. David Graeber (2011) ‘Debt: The First 5000 years’, p209-210. Graeber uses an anthropologist’s view of history to argue that markets are brought into existence by the state, and particularly by an expansionist military state which wishes to force all social actors to be intermediaries in the war machine. By obliging everyone to accept state currency a state-coinage-slavery complex is created. This dynamic drives the creation of slaves, which are, by definition, people ripped from all social context. 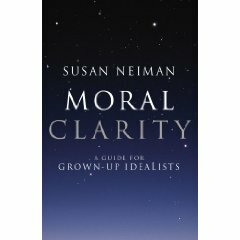 The collision of market economies with social economies (which are about interaction as much as obtaining goods) creates a moral dilemma which we can trace written in the texts of all the ancient religions (you’ll have to read the book for details). The dominant modes of human relation in historical time have been three: exchange, hierarchy and communism (not in the Marxist sense). The dominion of the exchange mode, and its perversion into being primarily market exchange, reduces the primacy of the other modes in the models of liberal/market thinkers, and so our conception of our selves (individually and politically) is contaminated by contradictory notions of debt and ownership (again, you’ll have to read the book). 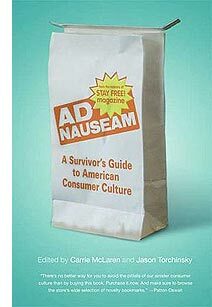 Ultimately this finds expression in a vision of ourselves as separate from our own bodies, and in the foundational myth of economics in which we markets come into being de novo among an asocial but equal status collection of isolates who can begin to trade to satisfy their wants. It’s an extremely rich book, which is also very disorganised in its arguments. I’m still digesting what I’ve read so this is a poor summary. Most importantly for me, and separate from the specifics of the argument, the anthropological and historical material does the job of expanding our conception of what we and our society could be. Pro-tip: on the final pages (p384-387) Graeber offers his own summary of the thesis of the book. There is a saying that those who want to enjoy laws and sausages should not find out how they are made. I think the same is true about facts. Or rather I think that anyone who wants to believe in simple honest facts, objective lumps of knowledge which are true and eternal, ought to stay away from the places where facts are produced. When you see how facts are made you ought to gain, I believe, a healthy scepticism about how they are used. Curious that anyone who has seen facts being made can still believe that on their own they’ll help! Now don’t get me wrong, facts do exist. We look to the stars and ask if things can be known — can things be known? And things can be known. There is right and wrong, true and untrue. Facts, in this sense, do exist. But they aren’t enough for a balanced intellectual diet. I think facts are seductive because they take a lot of technical skill to produce. If you want to make even a basic truth which will hang together long enough to survive being passed around, you need a lot of disciplinary training. You need expensive and complex measuring equipment, you need esoteric statistical techniques and you need to make the right comparisons. All this takes time and money and a lot of discipline specific experience. No wonder scientists are proud of their facts, and the facts themselves invoke some envy and respect. The problem is that facts always — always! — come with a set of presumptions, they always come along with a view of the world that they promote. To stop this getting too abstract, and to bring it back to the book that we’re gathered here to launch, let’s talk about maps. Everyone interested in maps should read Dennis Wood’s “The Power of Maps”. I believe this so strongly I have forced myself to only say this once, so that was it. I read this book while I was working on a thing called the Sheffield Greenmap. Greenmaps are community mapping projects designed to mark environmental and community sites in a local area. Dennis Wood talks about the selective accuracy of maps, how they show one part of the world, and can seduce you into thinking (because of the professionalism of their accuracy) that their representation is the way to view the world. But, he said, “Accuracy is not the issue. Selectivity is the issue”. Perhaps because I was involved with the Sheffield Greenmap project these words of his resonated with me very strongly. Maps are choices about how to view the world. When I looked at maps of my hometown, maps which I would happily point to and say “this is Sheffield”, I saw the one way roads marked, the petrol stations. The base I used for the greenmap of the area around the University was based on the University’s own map. Running up the hill from the University in Sheffield is a road with parks either side of it. When I came to look at the University map, I noticed, for the first time, that only one of the parks was marked. The road, you see, was also a socio-demographic division between the leafy suburb of the university and the estates next door. For the University, the park next to the estates didn’t exist (or at least not as a place for students and University visitors to go). The greenmap project made me look at the maps of Sheffield and ask why what was on them was on them. Why the roads and the petrol stations, why not the scenic routes through park, the community cafes and the places you could lock your bike up? Accuracy wasn’t the issue. Selectivity was. Wood discusses the ‘general purpose’ map as a particularly insidious example of interests using maps to mask their interests. The generality, the lack of explicit purpose, in a map disguises that it represents the end of a careful and directed process of selection. Like the scientific facts, the beauty of the technical process can blind you to the bias inherent in the construction. 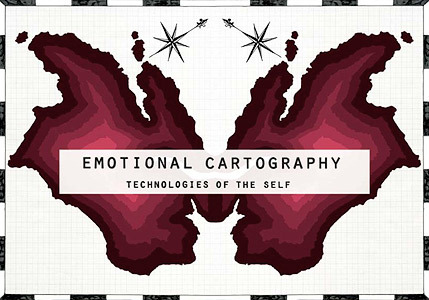 I was invited to contribute to the Emotional Cartography because of Mind Hacks, a book I wrote with Matt Webb and a few valiant contributors in 2004. 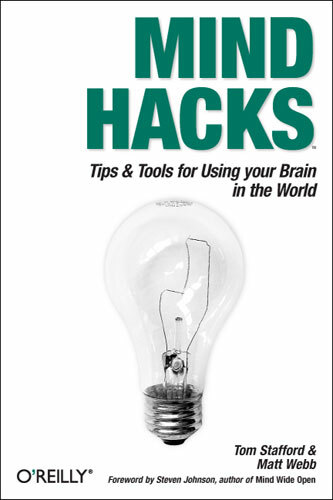 Mind Hacks is a collection of 100 do it yourself experiments that you can try at home and which reveal something about the moment-to-moment workings of your mind and brain. Our ambition with the book was to perform a smash and grab on the goodies of cognitive neuroscience, to open source some of the fascinating science that has been done, turning it into demonstrations which anyone could try. We wanted to make some of what was known about the mind available to be re-purposed by other people. So designers, artists, educators and whoever could notice and reuse various principles of how our minds make sense of the world. Lately I’ve come to think — and this was inspired by writing the chapter in Emotional Cartography — that the view of the mind we took in Mind Hacks was limited. And this limitation reflects that of academic psychology as a whole. We focussed on the perceptions, thoughts and feelings of isolated individuals, rather than of people in their full social context, in interaction with others. This is why I’m excited about Emotional cartography. It takes the idea of open-sourcing the production and consumption of facts to the social level. First, emotional cartography. We’re a visuo-spatial species. We love sights, spaces, exploring with our eyes. We reify this prioritisation into maps, which are themselves inherently visuo-spatial. If you believe that maps are a kind of technology for thinking with, which I do (my chapter in the book is about this), then this is turn makes it easier to think about the kinds of things which are easiest to show on a map. The maps of physical space then make this selection bias invisible, by pretending to be natural. Emotional Cartography makes another kind of information mappable, and this opens up the space to think with and debate about what that mapping makes explicit. For example: why are people anxious or excited in this place? Is that something we should do something about? The other reason I’m excited about emotional cartography is because, truly, it opens up a space for emotional cartographies — a refocussing on the process of mapping and remapping. By open-sourcing mapping it allows mapping to be a processes rather than a product and this powerfully opens up space for people to take part in the negotiation of the representation of their own geographical spaces. Rather than one true map of a locale, there are many maps, and these maps can be a medium for the mappers to meet and discuss their feelings, the places where they live, and the interrelation of these two things. So let me finish by congratulating Christian on his idea and all his hard work which resulted in this book, let me congratulate the other authors for their contributions and let me commend to you the practice of emotional cartography because, as should be obvious by now, in all areas of life, including map making, I believe it is far more satisfying to be a participant than a mere consumer. I have just finished Steven Poole’s Unspeak, which is an excellent, impassioned, bitingly funny review of the way words are used to promote particular views of the world. “Words have consequences in the world”, argues Poole in the epilogue, “…Unspeak itself does violence to meaning. It seeks to annihilate distinctions”. He explicitly distances himself from Lakoff’s ‘language frames’ view, where “the framing of the debate determines who will win the debate” (Howard Dean) and the only defense is prmote an alternate frame (to reframe). This, says Poole, will only lead to a clash of Unspeaks, rather than fostering any kind of sober dialogue. Poole quotes Ranko Bugarski: “What is needed [is the] judicious use of normal language, allowing for fine-grained selection and discrimination, for urbanity and finesse”. An admirable aim in hysterical times! Part of any good advice on writing is to cut everything that isn’t doing some work. As the classic says ‘Omit needless words’, ‘Vigourous writing is concise’. It occurs to me that sometimes, especially with scientific writing, that rather than have a choice of what to include and what to omit, you have a fixed number of ideas to include and your task, as a writer, is the mirror of the maxim above. Rather than ‘omit needless words’ you must find a way to make needed the words/ideas you are compelled to include. Any advice on how to do this would be appreciated. Which is an as readable, and enjoyable, argument against genetic reductionism as you could hope to find. 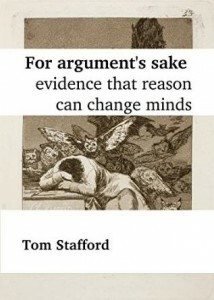 I’m guessing that many people would say their reductionism is a methodological tactic rather than a ideological commitment, but Lewontin’s characterisation of popular discourse is accurate enough, i fear, to convince that however tactical genetic reductionism may be when adopted by scientists it becomes far less self-conscious as it migrates into the public sphere.